Amazon announced a new Echo device lineup today, consisting of four products: A new Echo with assorted exterior materials, Echo Plus, Echo Spot, Echo Connect, and Echo Buttons. 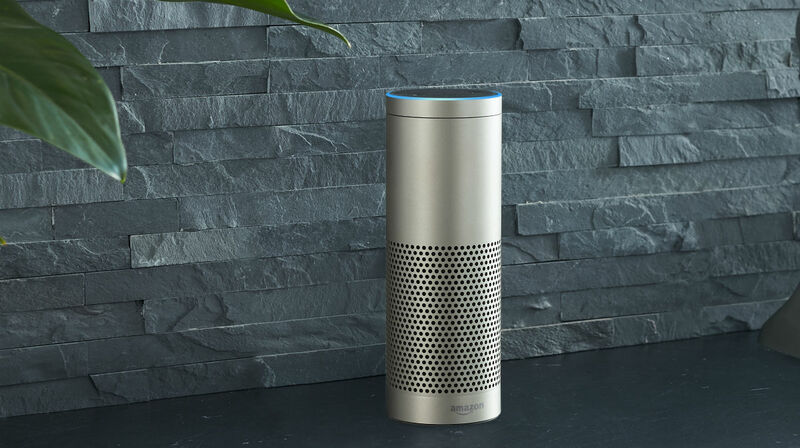 The new Echo (pictured above) is much like the last Echo, featuring Alexa and the ability to add skills, but comes in a smaller shell and in a variety of exterior materials. Customers can choose between Silver, Walnut, Oak, Sandstone, Light Gray, and Charcoal colorings. Essentially, if you want an Echo that matches the room your Echo will be placed, this is now doable without the need for buying a 3rd-party skin. The new Echo is priced at $99, with release scheduled for late October. At this morning’s event, Amazon also unveiled the Echo Plus, which is essentially a souped up Echo. Amazon explains that Echo Plus is more of a smart home hub, one that can connect to multiple wireless protocols to set up and manage connected home gadgets. 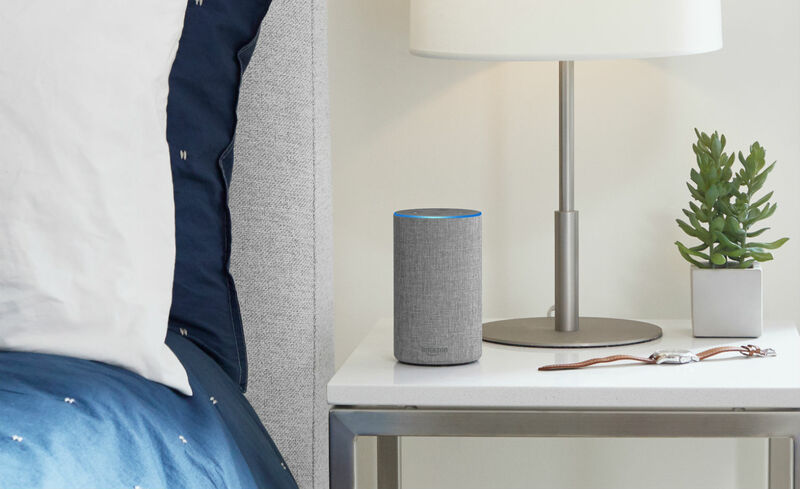 Also equipped with Amazon’s 2nd-generation far-field microphones, the Echo Plus supports Dolby sound, as well as Alexa Routines, which allows you to automate a series of customizable actions using a single voice command of your choice. Say, “Alexa, good night,” and Alexa will turn off the lights, lock the door, and turn off the TV. You can also create Routines based on the time of day – for example, you can create a Routine that has Alexa turn on the kitchen lights, start the coffee maker, and read the weather forecast at 6 a.m. every weekday and at 9 a.m. every Saturday and Sunday. The Echo Plus is priced at $149 and comes with a Philips Hue smart bulb in each box. Pre-orders start today with shipments starting late October. The new Echo I might be most interested in is Echo Spot, a small ball-like device with a 2.5″ display. Think of it like a smaller Echo Show, capable of showing videos, your in-home security cam footage and weather forecasts, as well as playing music. Echo Spot is also equipped with the 2nd-generation far-field mix technology, plus all of the features you expect from a standard Echo. You can enable skills, utilize its built-in camera to make calls, and much more. 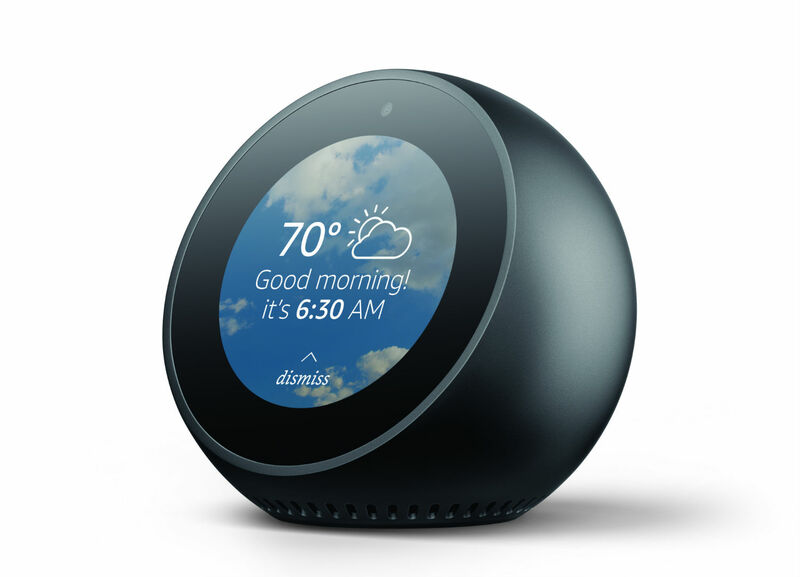 Echo Spot can also connect directly to speakers using a 3.5mm stereo cable or Bluetooth to add voice control to your home stereo system. The Echo Spot is available for pre-order today, priced at $139, with shipments starting in December. 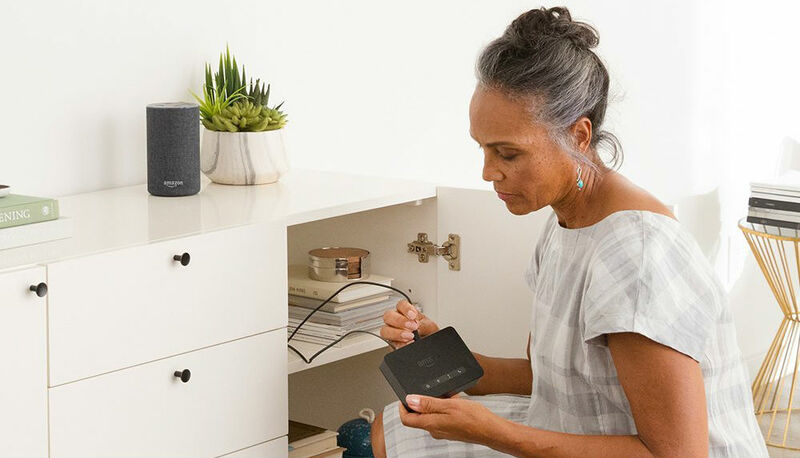 Amazon also introduced Echo Connect, an Alexa-powered accessory that turns your existing Echo into a, “high quality, hands-free speakerphone for your home phone line.” To sum it up, Echo Connect works with your existing home phone service (landline or VoIP). When connected, without ever needing to press a single button, you can ask Alexa to call anybody from your contact list. When you call, they will see your home phone number as the caller ID. When someone you know calls your home phone, Alexa will announce their name from your contacts list, then just ask Alexa to answer the call to start the conversation. According to Amazon, setup is incredibly easy — simply connect it to your home WiFi network and home phone jack or VoIP adapter, and use the Alexa app on your mobile phone to set up Echo Connect. The Echo Connect is available for pre-order starting today at $34.99, with launch set for mid-December. Last up are Echo Buttons, devices specifically made for playing games, which fall under a new category called Amazon Gadgets. Using these Echo Buttons and Alexa, users can play interactive games such as “Sounds Fun” with Mike Epps, “Buzzer Beater Basketball Trivia” with Karl-Anthony Towns, “Fourth Down Football Trivia” with Philip Rivers, and “Full Count Baseball Trivia” with Buster Posey. You can sign up for updates on Amazon Gadgets and Echo Buttons by following the link below.